Knives out! This week’s TRUE DETECTIVE podcast will hit you like a shotgun blast to the gut! Or the nether regions! Or somewhere else very unpleasant and at close range! 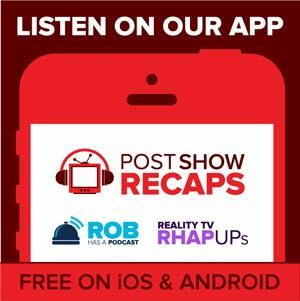 Yeah, bad week for Ray Velcoro, but great week for Post Show Recaps. 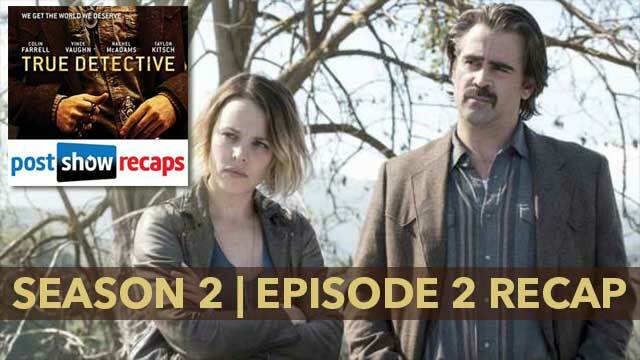 Once again, Josh Wigler (@roundhoward) joins forces with Antonio Mazzaro (@acmazzaro) and Jeremiah Panhorst (@jpanhorst) to stop down and examine the mystery at the heart of TRUE DETECTIVE season two. This week’s episode, called “Night Finds You,” is a grim affair for Colin Farrell’s hard-drinking City of Vinci detective, who ends the hour with a front row look at a new interpretation of Birdman. Meanwhile, we find out more about Vince Vaughn’s Frank Semyon and his financial woes, Rachel McAdams’ Ani Bezzerides and her secret stash of knives, and Taylor Kitsch’s Paul Woodrugh and his dark past. Let us know what you think of this week’s podcast in the comments below, and send in questions for next time using our feedback form.